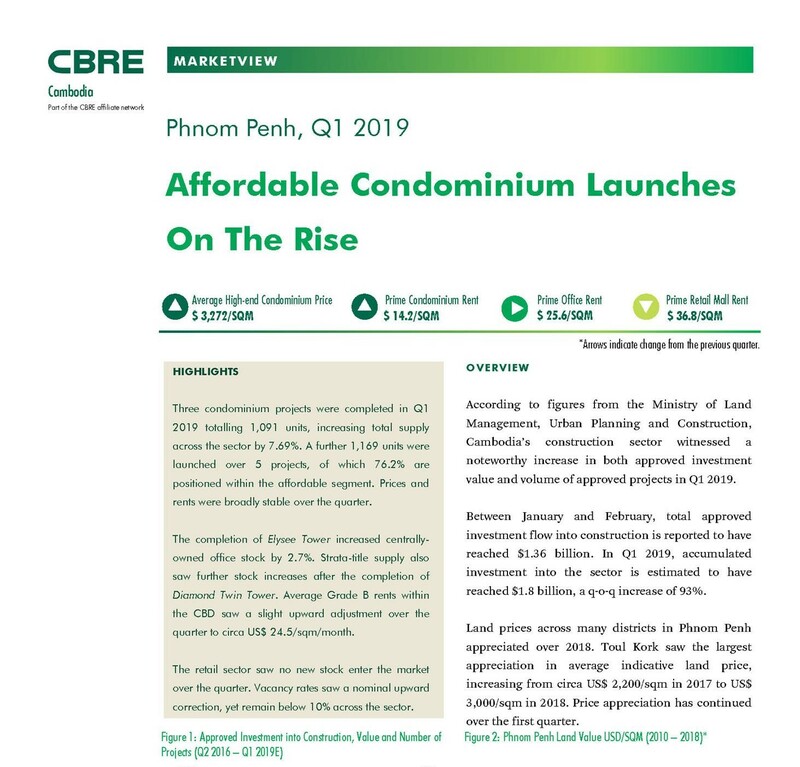 Three condominium projects were completed in Q1 2019 totaling 1,091 units, increasing total supply across the sector by 7.69%. A further 1,169 units were launched over 5 projects, of which 76.2% are positioned within the affordable segment. Prices and rents were broadly stable over the quarter. The completion of Elysee Tower increased centrally owned office stock by 2.7%. Strata-title supply also saw further stock increases after the completion of Diamond Twin Tower. Average Grade B rents within the CBD saw a slight upward adjustment over the quarter to circa US$ 24.5/sqm/month.